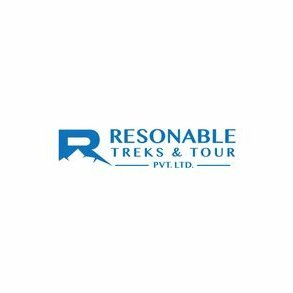 Reasonable Treks And Tour (p) Ltd, a rising native company of Nepal established past five years, although a fresh and new adventure company, run and managed by professional tourism professional an expert in handling all types of trekking, climbing and cultural tour around Himalayan destination of Nepal-Tibet and Bhutan. Reasonable Treks and Tour(P) Ltd , a company with mark of quality offering money worth of holidays that you enjoy being with us having memorable and exciting times, where all trips like tour and trekking led by our expert team of guides and staff offering you information of the country, history, culture as well flora / fauna including variations heritage, religions and rites of age-old traditions all our guides are professional worked with the company from the beginning with excellent feedbacks and remarks from our past and present clients. Reasonable Treks and Tour (p) Ltd works to fulfill your travel needs in a practical and comprehensive manner. Traveling to the Himalayas requires great skill and we use our expertise to give a travel experience that is well worth the money you spend. From the start, we identify your travel needs, and only then we formulate a travel plan best suited for you. The founders recognized the need for a professional tour company that was thorough in their organizing and executing, this when Reasonable Treks and Tour was established. A need-specific company that caters to worldwide travelers as they embark on a journey to wonderful destinations in Nepal, Tibet, and Bhutan, we exercise personalized touches in our services whilst keeping an esteemed profile on responsible tourism. Run and managed by a team of professionals, Reasonable Treks and Tour is located in the heart of the capital- Thamel, a tourist hotspot where many adventures take flight. The area offers plenty to do for travelers, with plentiful food and shopping options immersed in local artisans. While you enjoy the beauty of the area, our team works to bring forth quality offerings led by expert guides with valued skills and insights of the rich flora/ fauna, heritage, and culture of the country. Our strong values to provide the best have been embedded in our clients as well, who give us excellent feedback and have become our recurrent customers. Since our inception, we have had great success in keeping both our travelers and staff safe. We credit much of our success to our dedicated staffs which includes guides, on-field staffs such as porters and cooks, who are all capable to provide great service in the tricky terrains of the Himalayas. Additionally, through our thorough attention to detail, we have discovered that the majority of travel comfort in the Himalayas is derived from how we move through the challenging trails. To ensure that the explorers experience comfort while on road trips, we use drivers trained to handle varied terrains and keep you safe. Hence, join us and travel with our team of experienced and skilled veteran staff that provides you with everything you need as you travel amongst some of the most splendid wonders in the world. suitable Treks And Tour (p) Ltd, a rising native company of Nepal established past five years, although a fresh and new adventure company, run and managed by professional tourism professional an expert in handling all types of trekking, climbing and cultural tour around Himalayan destination of Nepal-Tibet and Bhutan.